In this family-friendly horror comedy, teens help young adult author R.L. Stine (Jack Black) battle the imaginary monsters from his books when they come to life. Rob Letterman (Shark Tale) directed. 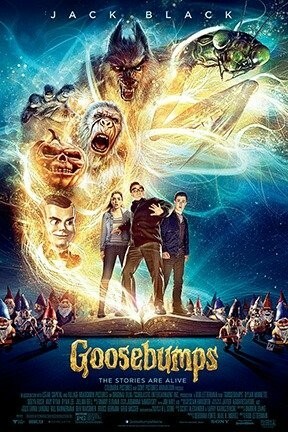 Goosebumps, Goosebumps and Goosebumps 3D are not showing in any theaters in the area.